Sassafras Springs is a small town in Missouri. Eben doesn’t think there’s anything exciting about his town. He wants to go somewhere new; someplace special like the Seven Wonders of the World. His dad challenges him with a bet: if he can find seven wonders in Sassafras Springs in seven days his dad will buy him a train ticket to visit his cousins in Colorado. Eben begins his amazing adventure through his town, listening to people’s stories and hearing about their unique adventures. Will he find the wonders in time? Will he be able to go. Read The Seven Wonders of Sassafras Springs to find out. If you’d like to see how Betty Birney got the idea for Sassafras Springs click in this link. Sassafras Springs is based on a real place. 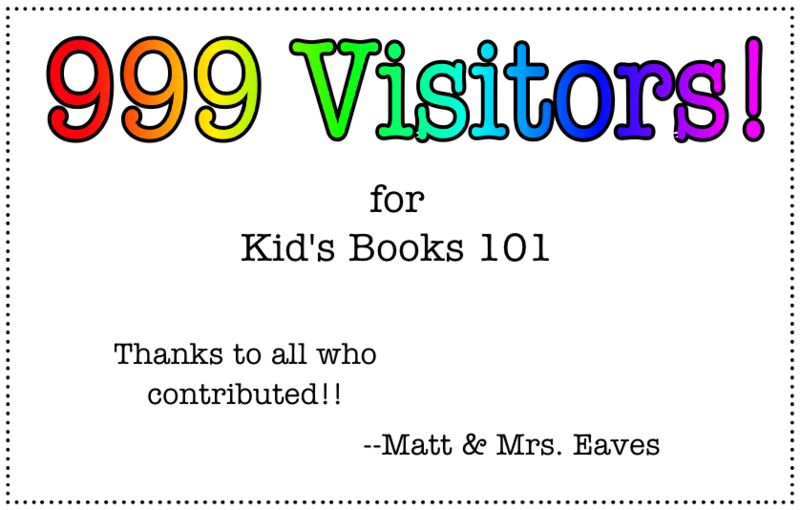 416 pages of adventure for middle grade, Riordan fans. 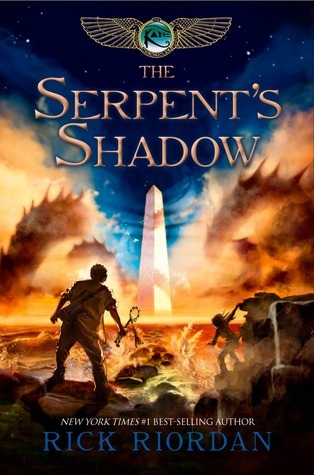 The Serpent’s Shadow does a nice job of wrapping up the loose ends left in the first two books. 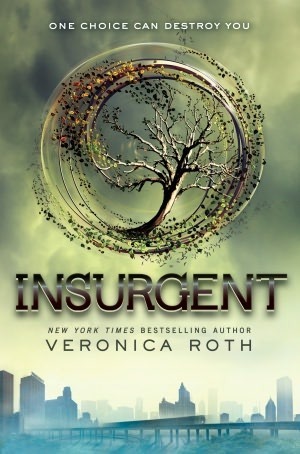 Sadie and Carter Kane work to defeat Apophos to ensure that creation rather than chaos remains the dominant power in the world. The Kanes and the magicians of Brooklyn House are the last hope to save the world from final destruction. There are opportunities to right past wrong and to appreciate the beauty of true friendship and the commitment through time of a family’s love. Each time I read one of these books I realize that I don’t understand the underlying order of Egyptian mythology and the hierarchy of their gods. I am curious about the Egyptian’s definition of time as all ages seem to coexist at the magician’s level. And I wonder at how similar this tale is to the Norse tale of Ragnarok – the end of the gods. They make me wonder at how people through time and from different parts of the world find such similar ways to share their stories of life and creation. Just Grace is a wonderful friend. She isn’t always perfect, things don’t always work out, but her intentions are always from the kindest, most thoughtful place in her heart. That’s why I like her. In the first book from the Just Grace series we learn that Grace draws comics and that she has the super power of empathy. Those key strengths are carried with her throughout the series. Eight books later, Grace’s neighbor, Augustine Dupre is getting married. How wonderful and exciting! But Grace is not chosen to be the flower girl. Once over that disappointment, she works to figure out how to support her friend and find a way to give her the best wedding present ever. (Silver bowls are boring!) It will take everyone working together – even Mr. Scruffers and Crinkles, the cat to make it happen. Grace has one chance to carry out her plan. 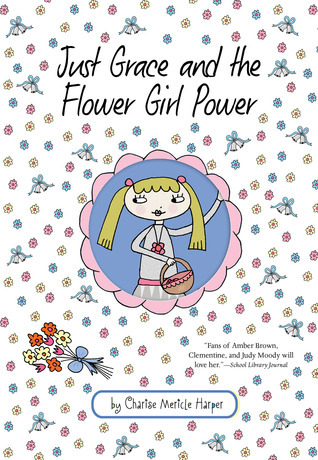 You’ll have to read Just Grace and the Flower Girl Power to see how it goes. The Twits are a nasty old couple and they hate everything. No doubt about it. Everything except for a few habits and hobbies. For one, their most favorite thing to do is to play mean tricks on each other. Worms in Mr. Twit’s spaghetti, and I couldn’t even tell you any others, because it would ruin the story! Anyway, another hobby that they have is cruelty to the trained monkeys they own, Muggle-Wumps. But contrary to the Twits’ belief, the Muggle-Wumps are very smart indeed. And now, it is time for their revenge. Read The Twits by Roald Dahl to find out what happens. 125 pages of real life as a fisherman – you’ll be glad you read it. 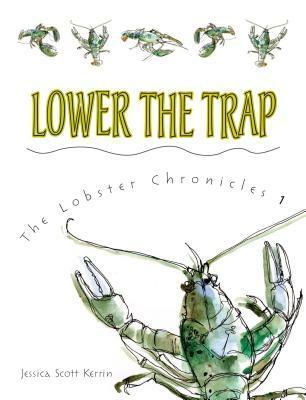 Lower the Trap is first book in the Lobster Chronicles trilogy. It tells the tale of lobstermen and fishermen in Nova Scotia. The work is real. The people are real. The struggles are real and Graeme Swinimer is stuck in the middle. He knows everything there is to know about Lower Narrow Spit and he is looking for more. He intends to be a marine biologist when he grows up. He has a saltwater tank in his room that he observes closely to discover any new secrets that might be revealed. Mostly he discovers each new way his sister can sabotage his effortes. Graeme knows there’s more to learn, but he doesn’t think he will find that in Lower Narrow Spit. He “can’t wait” to be out and on his way. But then his dad catches a gargantuan lobster that must be at least fifty years old. It’s enormous and beautiful and amazing AND it is from his town… from his harbor…how could that be! There is a twist of course. It comes with Norris, Graeme’s least favorite schoolmate, a mystery regarding their teacher’s stolen cactus and an auction that’s part of the town’s annual lobster festival. An extra irritation in all of this is that Norris is the cannery owner’s son. His family keeps the town going and he feels entitled . He is sure Graeme will do what is “right” to give Norris and his dad what they want. It seems like that just might be the case until more people get involved to make sure the fate of the lobster nor Graeme’s feelings about his town and future aren’t easily sold. It isn’t always easy to know what is best, but it is always right to do what is just. This story is honest and true. It will make you think and help you understand how one small event can change a life and through that one many more will be enriched too. The more I think about it, the more I like it – what seems simple at first is not at all. On summer nights when Marlee hears the lions in the Little Rock Zoo roar through the open windows she feels safe. She is comforted by the normalcy of that wild and confident sound. Words are not Marlee’s thing. She doesn’t like to talk to anyone beyond her family and few friends. In Marlee’s mind words are easy to confuse. They are unclear and imprecise. Numbers, on the other hand, are constant and steady. They are reliable and relaxing. Marlee will need their support to get through the next series of changes in her life. Marlee brother is off to college. The night before school is to start, Governor Faubus announces that in an effort to preserve local control and southern traditions, the high schools will not open. Until the issue of integration is settled high school students will remain at home. Marlee is beginning middle school, but her sister Judy will stay at home. Marlee’s dad supports the integration of schools. Marlee’s mom is not so sure. Tension is high at home, in her school and her town and rising. When Marlee goes off to school she promises to say at least five words. She says them to a new girl, Liz. From then on Marlee’s life is never the same. She learns about courage, commitment and conviction. She learns that a wrong left unaddressed can lead to greater wrong. She also learns that it is never too late to right a wrong. It is always the right thing to do. Marlee’s struggles to overcome her fears and stand up for justice reveal the stories of others in her life. At first they are each alone as they deal with the uncertainty, tension and bitter conflicts that surround them. But later they learn by coming together they will be able to accomplish something to establish social justice. The Lions of Little Rock is something for everyone to read – to know what it is to be a friend, to know what it is to make a commitment to others, to know when others are more important than yourself. How do you overcome your fears? How do you step in and take action? How do you know it IS up to you? This is a dazzling look at a piece of our past that we must continue to examine today. Is there ever a place for hatred?